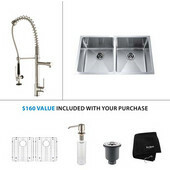 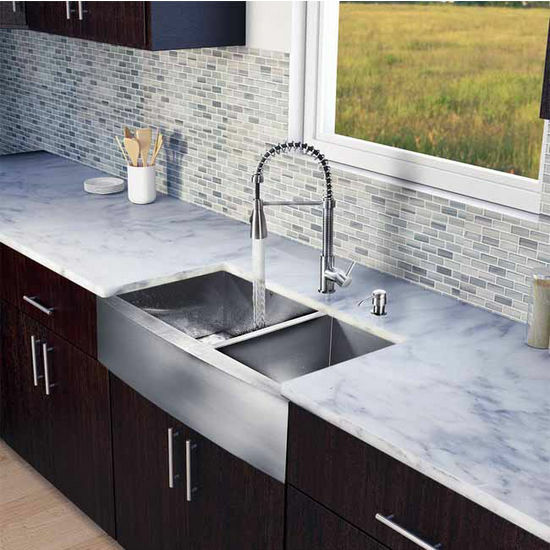 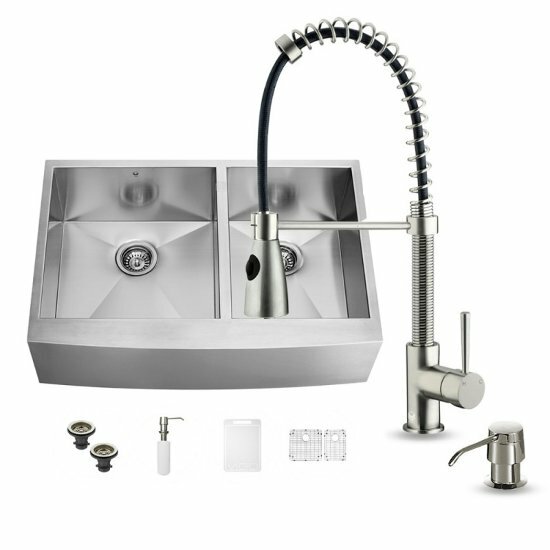 Enhance the look of your kitchen with a VIGO All in One Kitchen Set featuring a 36" Farmhouse - Apron Front kitchen sink, spiral pull-out faucet, soap dispenser, two matching bottom grids and two strainers. This double bowl sink is manufactured with 16 gauge premium 304 Series stainless steel construction with commercial grade premium scratch resistant satin finish. 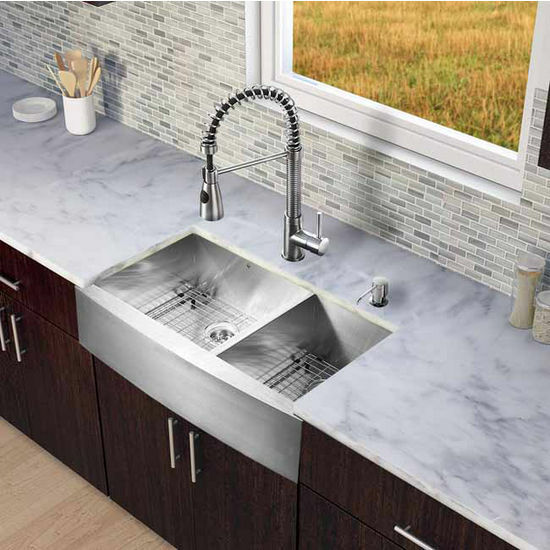 The kitchen sink is fully undercoated and padded with a unique multi layer sound eliminating technology, which also prevents condensation.